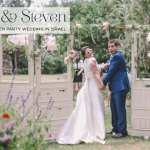 We designed our own wedding website (by Riley & Grey) with useful information for our guests, including recommendations regarding where to stay and eat. “Life is funny sometimes. You can spend years searching for something, only to realise it`s been right in front of you all along. I guess this is what has happened for us. 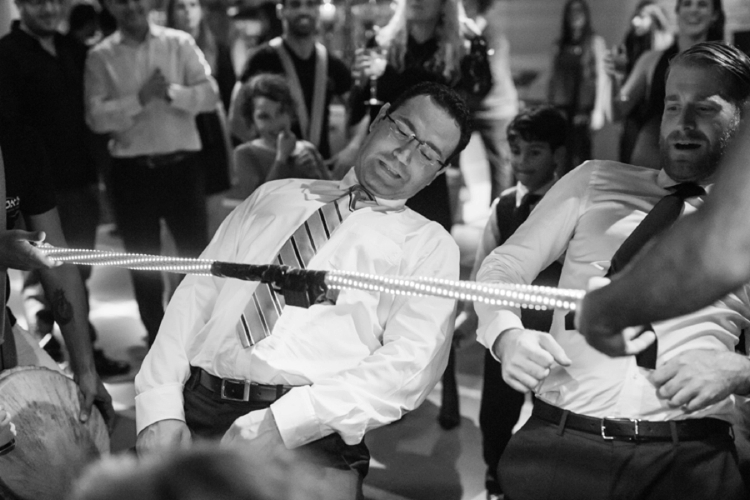 Our lives have always intertwined. We first met in kindergarten, in 1983. Of course it wasn’t love at first sight–we probably chased each other around the playground– but then drifted apart. Years passed, and ironically, we both studied in Boston during the same years, but our paths rarely crossed. After graduating college, we were both back in Mexico–and have fond memories of hanging out and singing at the Cantina Veracruz. Bertha moved away again. This time to Miami, and then Israel, and back, but we always kept in touch. Our lives once again were on a similar path. Over time, we became best friends, we fell in love, and now we even have “children” together —our black labs Layla and Layka- (to the dismay of our friends and family, because we don’t stop talking about them). So basically, thirty years of friendship, have come down to one night in the near future. 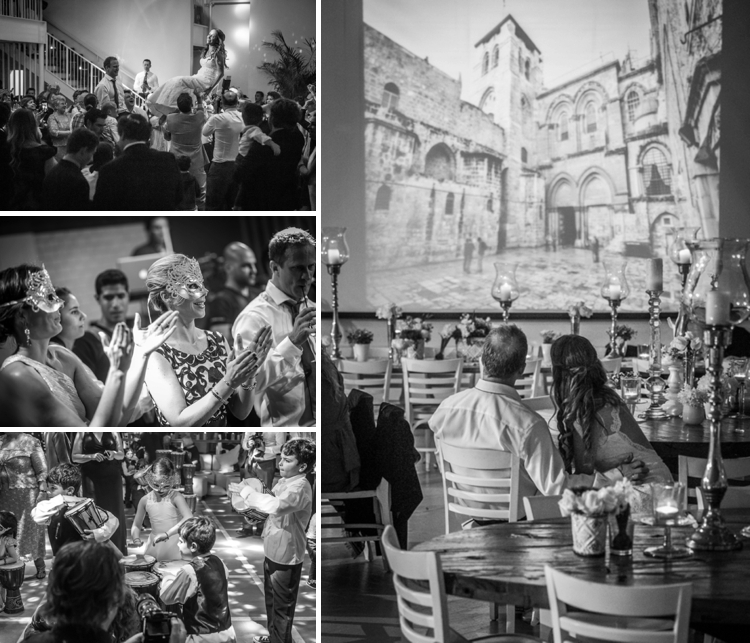 We hope that you will all be able to join us for the next chapter– the evening of January 3rd, 2016. We will be starting our lives together, in Israel. A place that is so special to both of us. 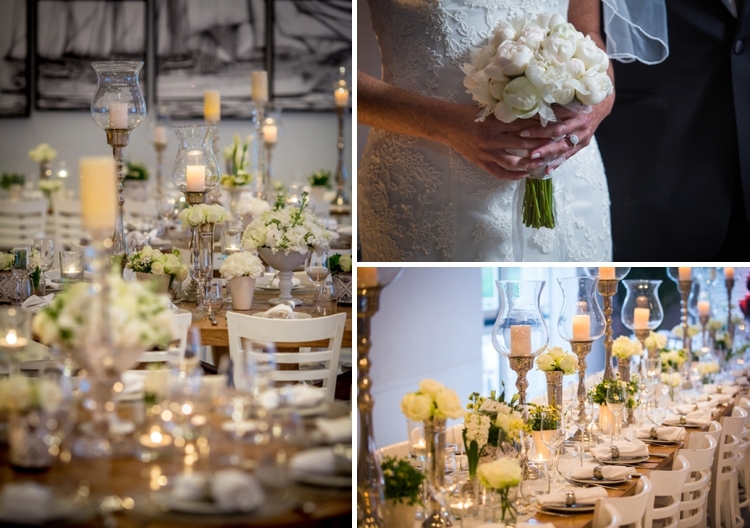 We couldn’t imagine getting married anywhere else – we want our closest family and friends to be there, to mark this occasion in a very intimate and personal manner. We can’t wait to celebrate with you“. 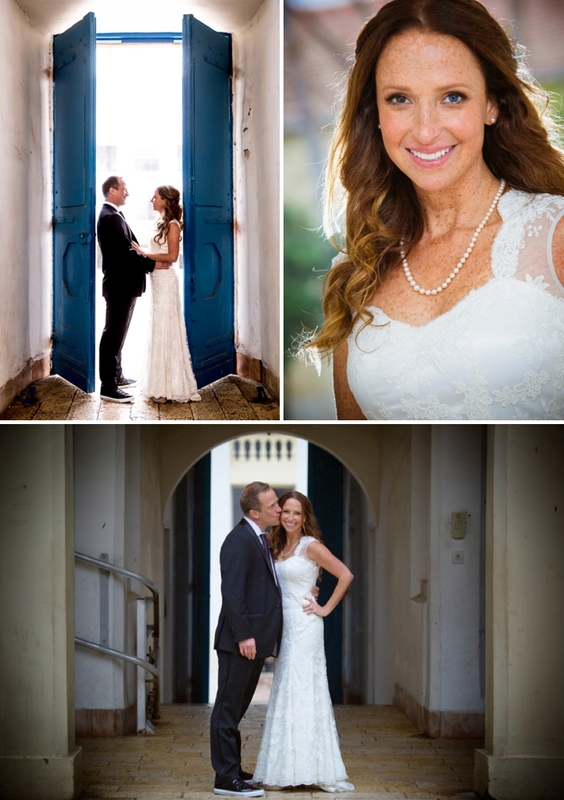 We got married in Tel Aviv in Israel and our wedding was at Bayit Al Hayam in Jaffa. 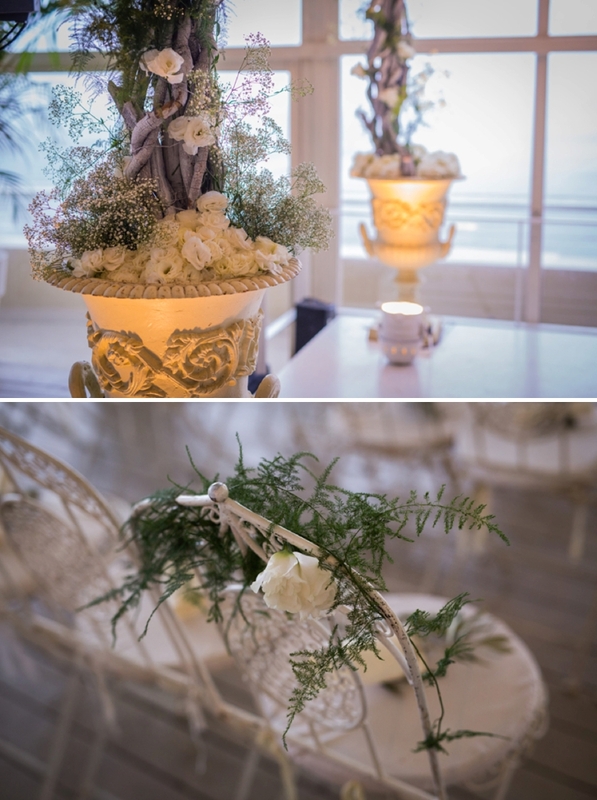 We chose this venue as we wanted somewhere elegant and modern with beautiful sea views. 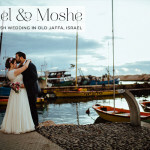 Tel Aviv is my favourite city and Israel is very important to myself and David, we both come from Zionist families and feel a strong connection to Israel. 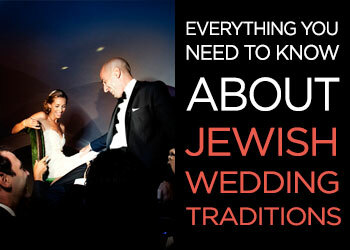 My dream has always been to get married by the beach in Tel Aviv. It poured on our day and minutes before the chuppah the sky cleared up and we had a beautiful view of the beach and the sea! 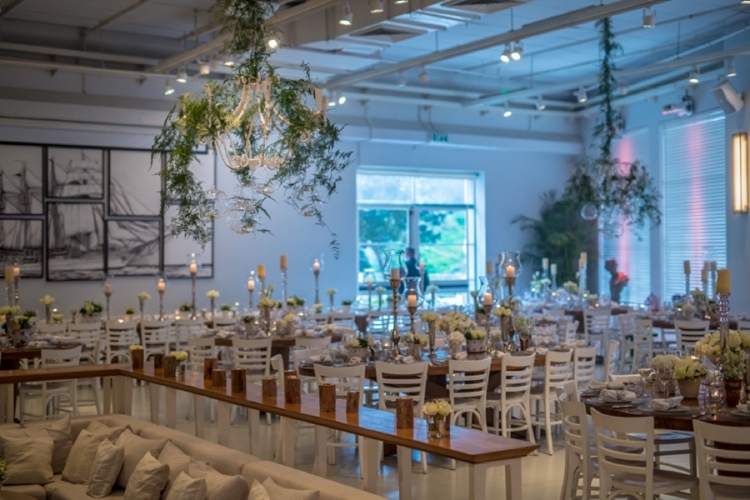 We went for a natural-elegant look combining white flowers, greenery, glass and white-washed ceramics and wood so for instance, greenery was hung from white washed chandeliers, which also matched the chuppah dà©cor on the roof. We wanted something laid back yet refined, which would create a welcoming atmosphere for our guests. 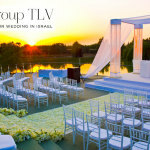 We used BE Group TLV to plan and produce our wedding as well as oversee and manage the wedding week and wedding day itself. Lisa and the team from BE Group TLV were amazing and made the process simple and fun, I enjoyed myself rather than stressed over logistics. Worth every penny. 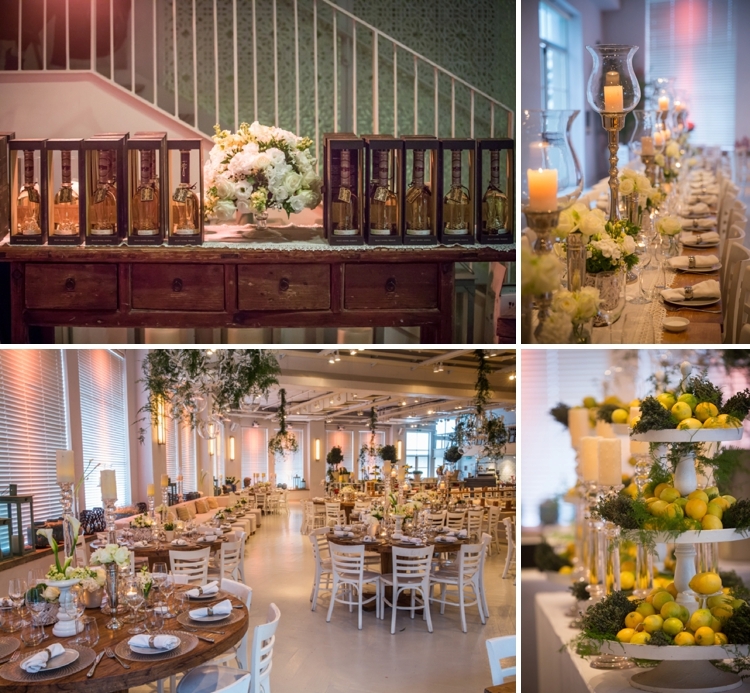 For the dinner part of the evening BE Group TLV created a customised white-washed wood open-kitchen stand which was built from scratch to the side of the venue’s main hall. 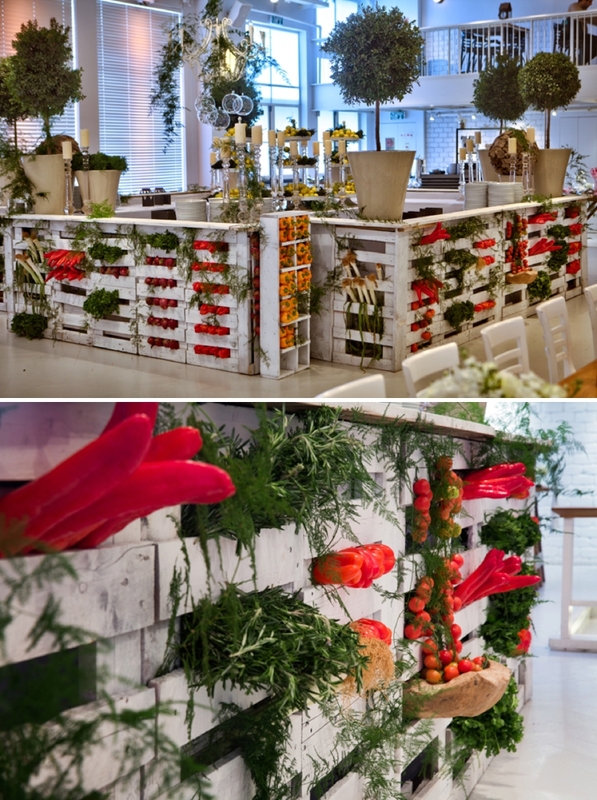 I wanted to create a casual market look and feel using local fresh produce so yo this end, 60 kg of fresh vegetables and herbs were brought in and crammed into the slats of the open kitchen as well as positioned on and around it (all of the vegetables and herbs were donated to charity at the end of the wedding). Guests had welcome baskets waiting for them in their hotel rooms. These contained a copy of Time Out TLV, Israeli chocolate, a bottle of Israeli wine and a personal note from us. 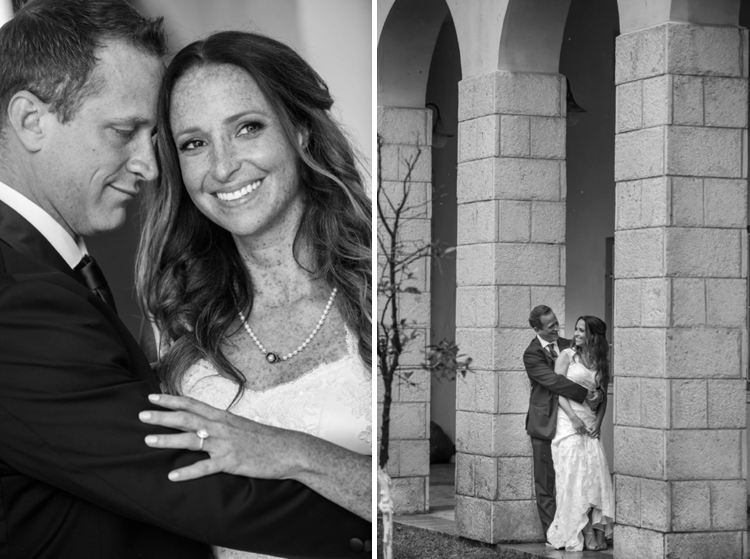 We also organised tours around Israel – Jerusalem and the North — and screened photos from these tours at the wedding. 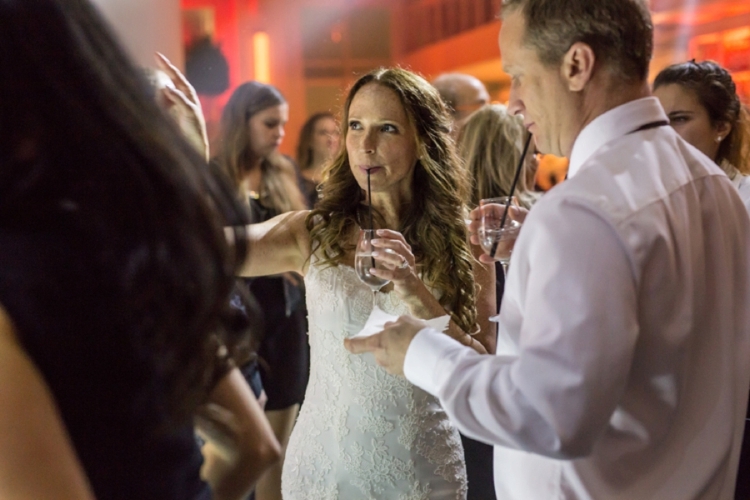 We held a Friday night dinner before the wedding at one of Tel Aviv’s top restaurants, with a traditional Jewish reception and candle lighting for our guests to get to acquainted before the wedding in a relaxed environment. I opted for a natural down do, with sparkling hair clip. I had a top-tier hair and makeup team and me and 11 of my friends had the salon entirely to ourselves and spent a pampering day there prior to the wedding. My dress was designed by my friend Vanessa Vera from Mexico. It was inspired by several of the big designer names. I wanted a romantic, vintage-y look and wasn’t able to find a dress I liked, so I had my dress custom made. 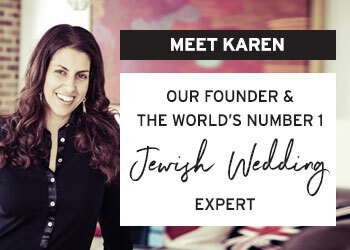 I wore a hair broach from Israeli designer Keren Wolf, and pearls that my in-laws bought me from Japan, together with my sister-in-law’s pearl necklace. I wore Stuart Weitzman strappy gold sandals in Lamà©. 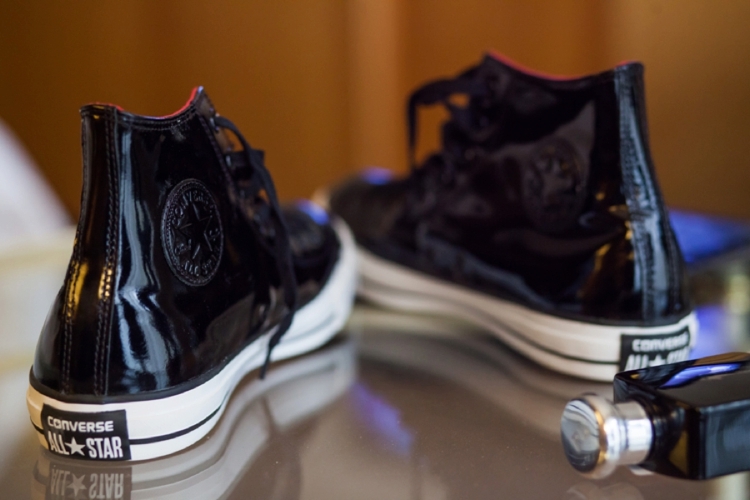 David wore a Kenneth Cole black tux with charcoal grey tie and black patent leather Converse trainers, which were also worn by the groomsmen and page boys. My nieces were my flower girls. They also wore lace dresses which contained the same lace as in my dress and were also designed by my friend Vanessa and custom made in Mexico. 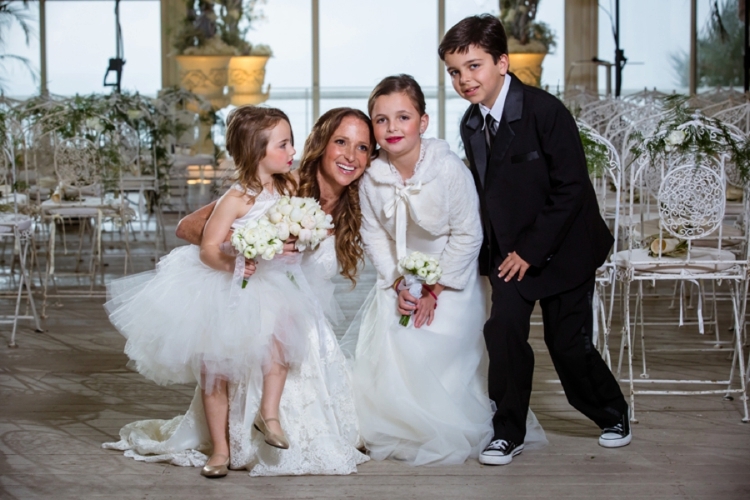 The flower girls wore gold ballerina pumps and the page boys (all nephews) wore black tuxes with black patent Converse shoes. 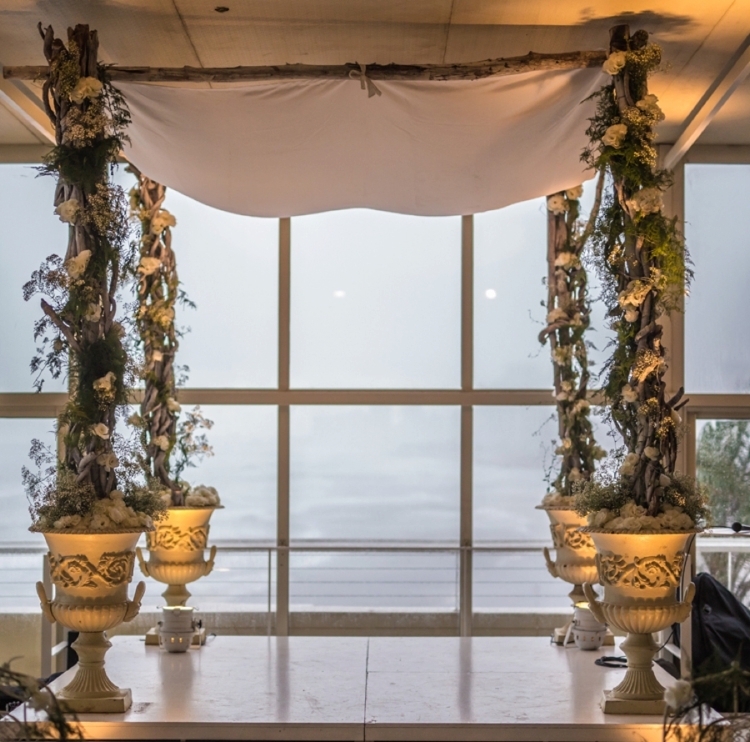 We incorporated the white-washed vintage look into our chuppah design, with branches interwoven with greenery and cream flowers holding up a cream canopy. 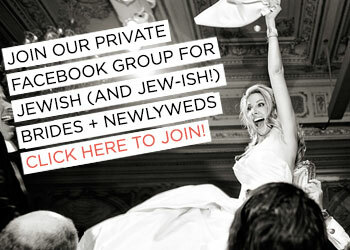 This gave the chuppah a romantic, natural look. We chose a beautiful instrumental version of Ana Be’Koach as the processional began. The groom’s entrance song was Bereshit Olam, sung by the boys choir and a shofar marked my chuppah entrance. This was then followed by the boy’s choir singing Bo’ie Be’Shalom. Just before the breaking of the glass, the boys choir sung a moving version of Im Eshkachech Yerushalayim. My favourite part of the ceremony was the boys choir who sang us all down the aisle with song changes for the groom and his party and then for the bride and her party. One of the choir boys played also played a shofar for us, it was extremely moving. 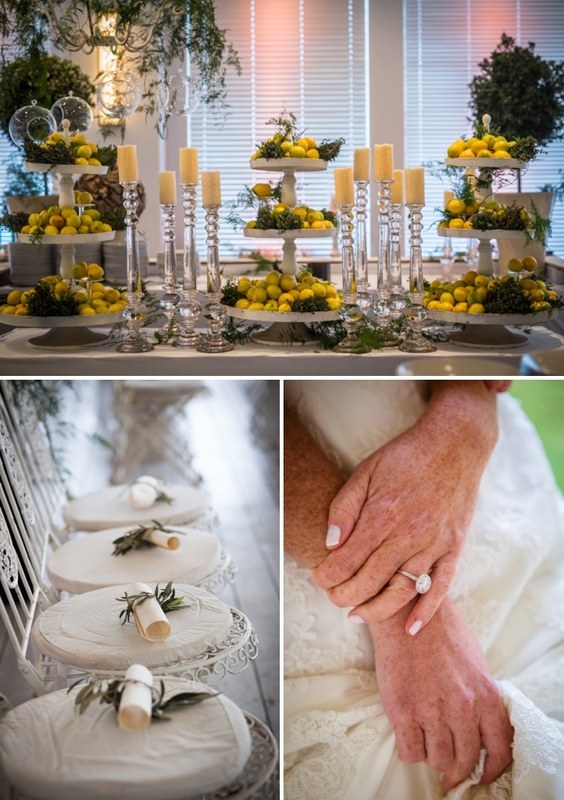 Our dà©cor designer and florist was Chris Weys, who created a fabulous look and feel and made the large space feel welcoming and intimate. 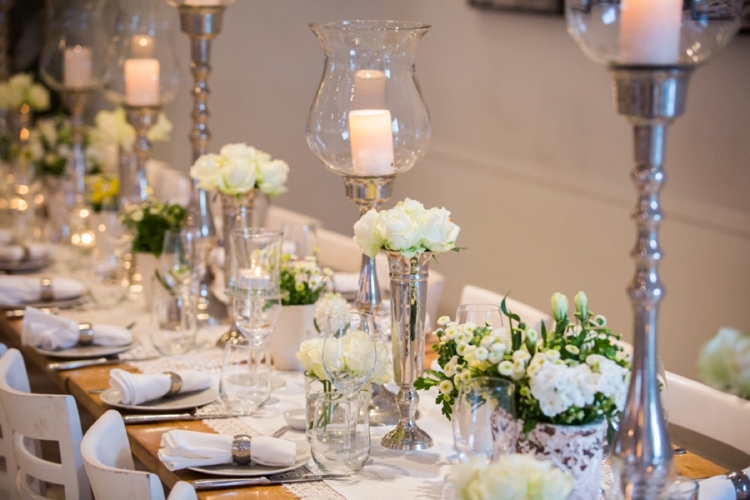 We chose to forgo assigned seating and went for relaxed seating with a combination of different sized tables and long cream sofas. 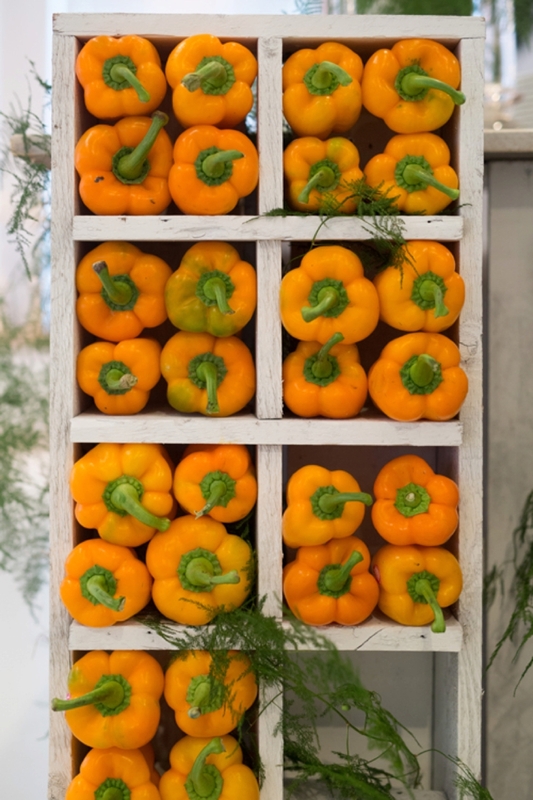 For dinner we had a sixteen square metre open kitchen stand built from scratch inside the venue into which fresh vegetables and herbs were crammed to create a natural market look. Dinner was served to our guests from the open kitchen stand, which was manned by chefs from Mazal Talle. We opted for an eclectic menu which combined Moroccan tagines laden with couscous and exotic Middle Eastern dishes alongside classic European dining options. 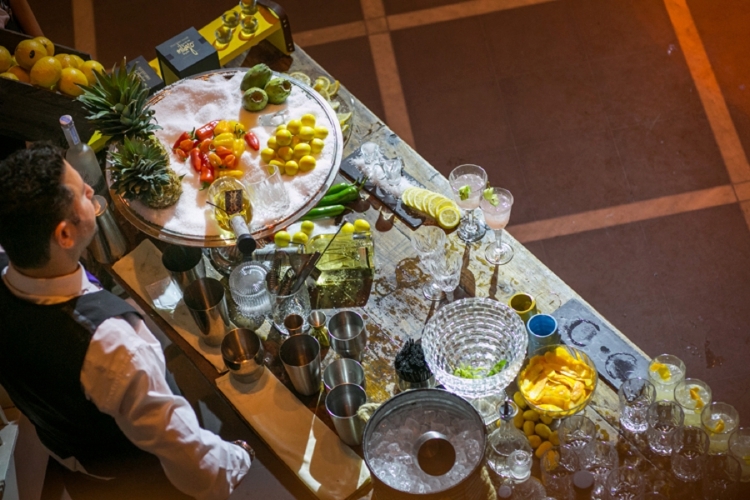 We had a bespoke Tequila stand from which top tier tequila with lime, coarse salt and chilies were served and as well as a Margarita stand expertly manned by one of Israel’s top mixologists who was brought in specifically for the event. We chose to serve traditional Churros instead of cake! We wanted an indulgent and fun dessert option which also tied into our Mexican background. Our photographer was Eran Beeri. 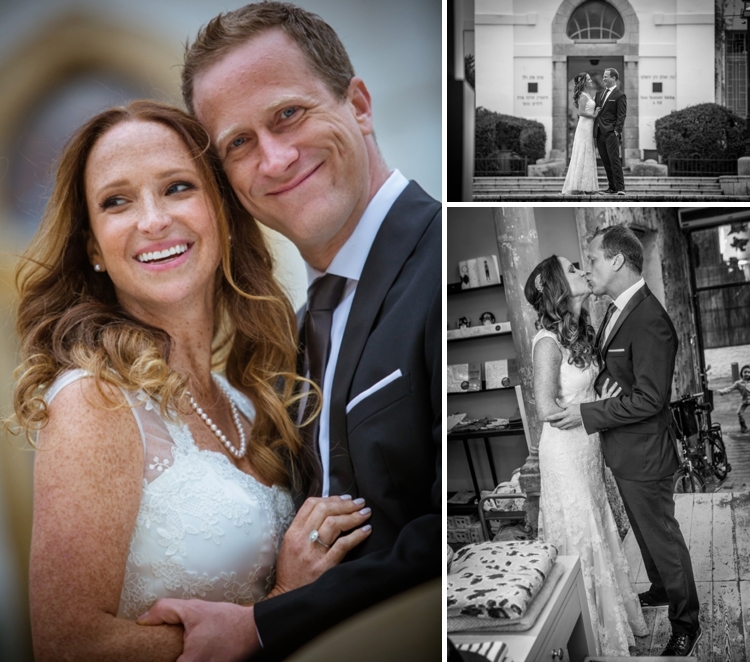 He did a brilliant job of capturing our wedding week and wedding day and was a pleasure to have around. We also had a videographer capture the wedding day. 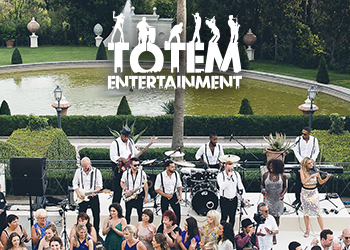 We had a 5 piece live swing band as guests arrived and mingled. For the chuppah we had a boys’ choir — one of the boys also played a shofar! 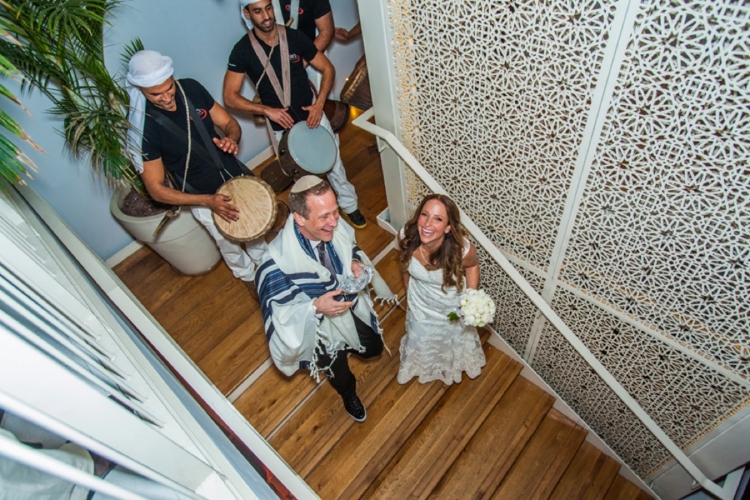 For the Jewish dancing we had drummers lead us into the hall with live musical accompaniment as well as a drummers’ circle — our guests loved it! 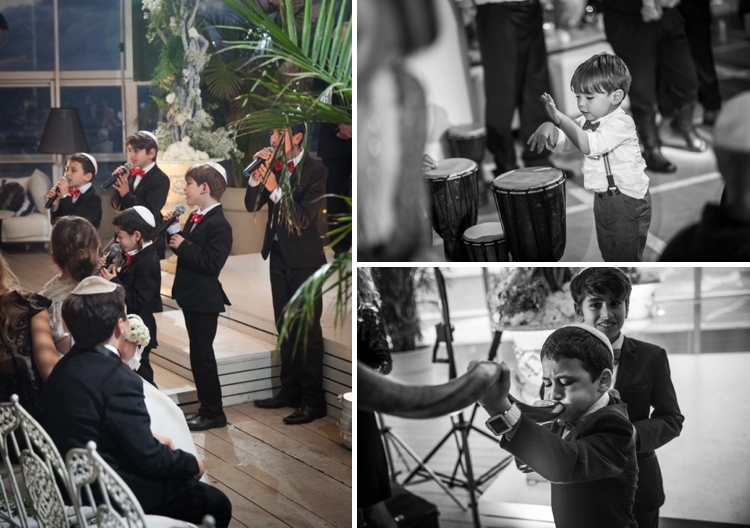 Our DJ also played a set of drums from his stand as guests danced. 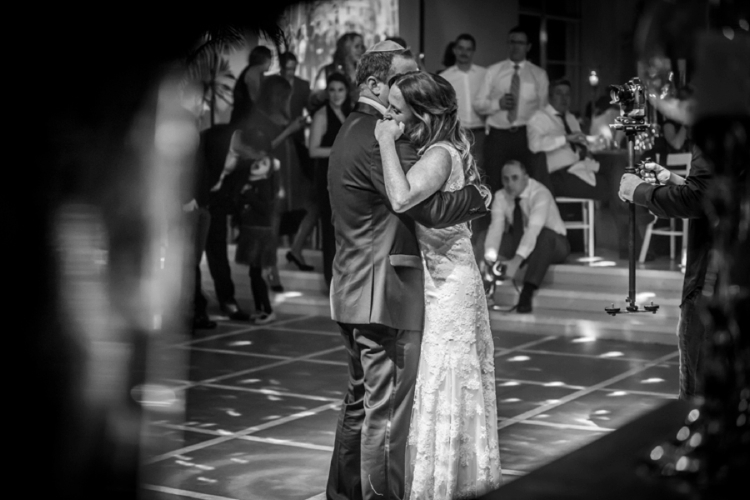 Our first dance as husband and wife was Neil Diamond’s Save Me A Saturday Night. My brother and father commissioned top tier Milagro Tequila bottles with personalised labels containing our names, wedding date and venue on to which bespoke leather tags were attached as a take home gift for our guests… so we had a little touch of Mexico in Israel. 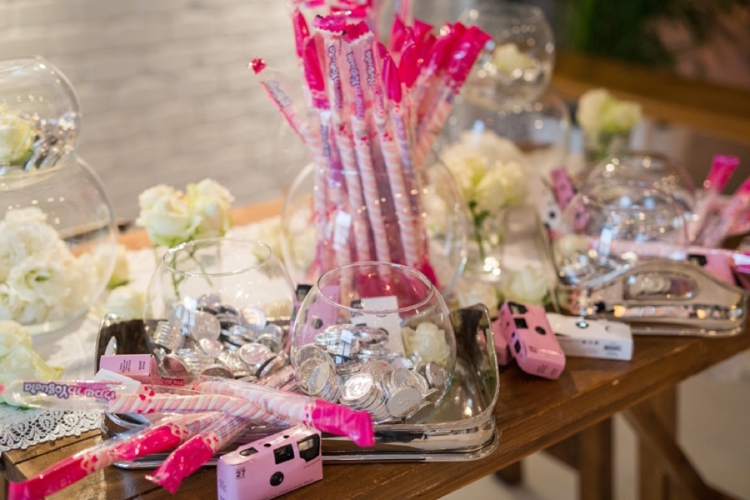 For our younger guests we created a small kids corner with disposable cameras and candy. 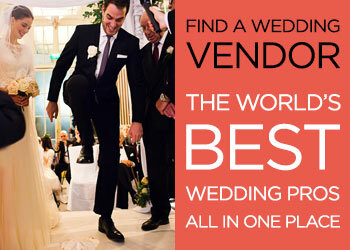 Invest in a great wedding planner! Lisa and the team from BE Group TLV were amazing and made the process simple and fun, I enjoyed myself rather than stressed over logistics. Worth every penny. Stick to your guns — do what will make you and your fiancà©(e) happy regardless of what anyone says.